From this month we will be celebrating the wonderful artists we have in the school. Every month a child will be chosen to show a piece of their artwork in a picture frame which will go on display at the front office. 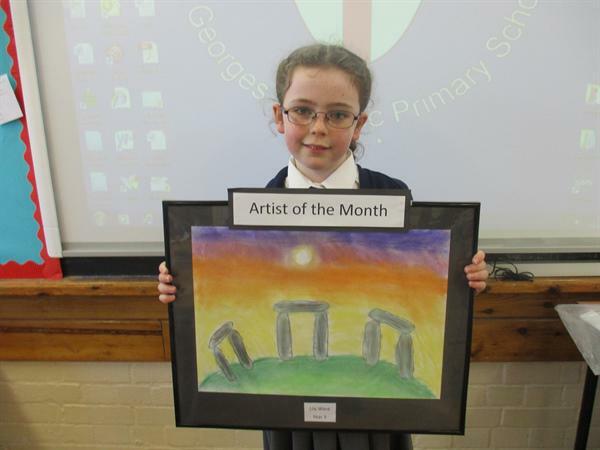 December’s Artist of the Month has been awarded to Lily (St Bernadette).